Lakeshore Records, in conjunction with Invada Records, will release the double album Stranger Things 2 - Original Netflix Series Soundtrack digitally on October 20th. The album will also be available on CD later this year, with an LP forthcoming. 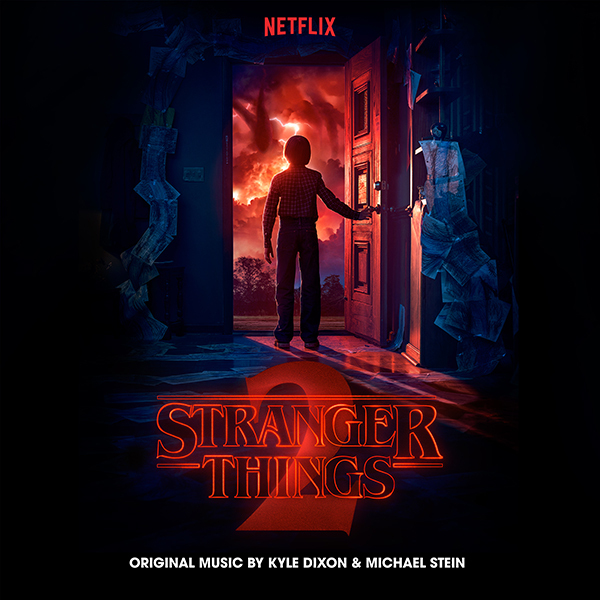 The double album features the original score by Kyle Dixon and Michael Stein, members of the Austin experimental synth band S U R V I V E.
In “Stranger Things 2,” which premieres on Netflix October 27th, it’s 1984 and the citizens of Hawkins, Indiana are still reeling from the horrors of the Demogorgon and the secrets of Hawkins Lab. Will Byers has been rescued from the Upside Down but a bigger, sinister entity still threatens those who survived. EMMY®-winning and Grammy®-nominated Kyle Dixon and Michael Stein, half of the Austin band S U R V I V E, traveled back in musical time to score the award-winning Netflix original series “Stranger Things.” Series creators The Duffer Brothers tapped the duo due to their classic synths spun into distinctly modern sounds—and the resulting alchemy produced a Primetime Emmy Award win for Outstanding Main Title Theme Music, two Grammy nominations for Best Score Soundtrack for Visual Media, an ASCAP Composers' Choice Award nomination for TV Composer(s) of the Year, and a World Soundtrack Award nomination for TV Composer(s) of the Year. “Stranger Things 2” will debut globally on Netflix on October 27. Lakeshore Records, in conjunction with Invada Records, will release the double album Stranger Things 2 - Original Netflix Series Soundtrack digitally on October 20th and on CD later this year with an LP forthcoming.